Homecraft® Inc. is your go-to solution for superior provider of roofing, siding, gutters, doors, and replacement windows in Elmer NJ. This quaint borough in Salem County is home to just 1,300. There’s a lot of pride here and it shows in your homes and businesses. You can count on us to pay close attention to craftsmanship, materials and the best products, with a reputation that points to us as the best around. It’s our pleasure to give you personalized attention by our dependable and reliable contractors who are committed to ensuring your 100 percent customer satisfaction. Drawing on more than 30 years of experience in this industry, we want to make your home becomes a better place to live and relax in. With two options for you in Elmer: Homecraft® vinyl replacement windows or Andersen® wood replacement windows. Either way, you receive top-notch performance, guaranteed energy savings, and reliable service. Replace your old windows that are leaking energy with more efficient ones to lower your monthly bills. Crafting a whole new entryway with weather-resistant storm doors is our specialty. Our competitive prices and attention to detail when it comes to durable entry doors are unmatched in the area. Wow your visitors with beautifully crafted front entry doors in Elmer NJ. Did you know we also replace patio doors and automatic garage doors, for a full suite of services? Lots of siding contractors claim to give you lots of options but not many actually do. Homecraft does, providing you with a wide variety of siding materials, textures, styles and colors to suit your personal style. Our inventory includes cedar shake siding and vinyl siding. Which will you choose? Our contractors are highly trained in the best installation techniques and materials, meaning your roof will last for decades to come. There’s no doubt about it: you should rely on Homecraft® Inc. for roof repairs and new roofing, from your trusted GAF MasterElite™ roofing contractors. Because standing water can erode your soil, it’s time you installed high-quality gutters to prevent this from happening. Homecraft® Inc. can help you complement your roofing system with a quality gutter system in Elmer NJ. Need a new office? What about some repairs done around the house? Our home improvement team can help you, thanks to top quality installation and 100% customer satisfaction. Get peace of mind when it comes to making wise home improvements that boost your home’s value. 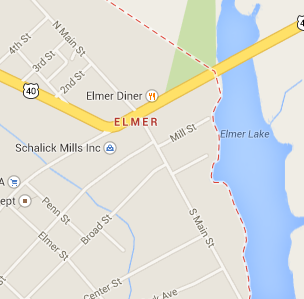 FREE Estimates on Elmer NJ Home Improvement, Windows, Doors, Siding or Roofing. Call Homecraft®, Inc., today at 1-877-494-0377 to schedule a FREE in-home consultation and estimate for your Elmer NJ home improvement project, roofing, siding, replacement windows, doors, or gutters.